FFI strives to advance the field of family enterprise through applied research, providing practitioners with practical applications for research conducted by academics from around the world. An example is the periodic précis written by members of the FBR Applied Research Board. Based on recent articles published in FBR, these précis summarize an article and identify implications and applications for advisers to integrate into their work with families. 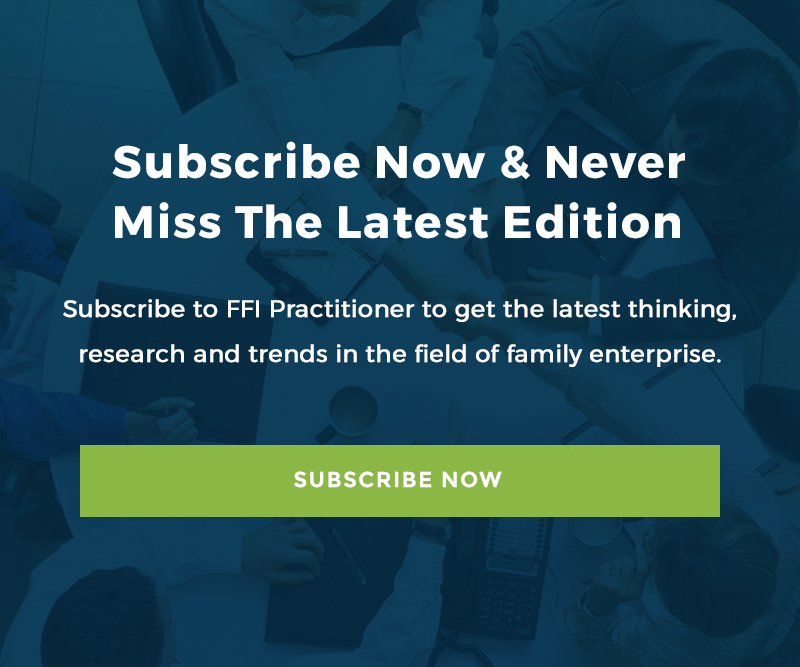 This week, FFI Practitioner is pleased to highlight selected FBR précis on a variety of family enterprise topics.